As you come in and out of the city, you may notice the area where the City Maintenance Shop is located, and you may be wondering what we are going to do with that area. Located at the very end of the driveway there is an industrial stormwater retention pond that was created to catch the runoff from the driveway and building in that area due to discharge of stormwater pollutants and wastewater. 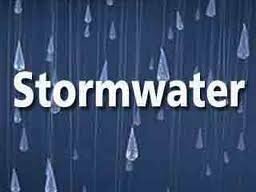 Stormwater runoff is rain or snowmelt that flows over land and does not percolate into the soil. 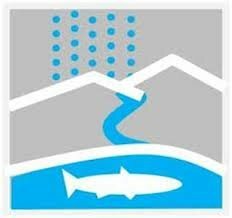 Stormwater runoff occurs naturally, in small amounts, from almost any type of land surface, especially during larger storm events. Impervious surfaces, such as buildings, homes, roads, and parking lots, can significantly alter the natural hydrology of the land by increasing the volume, velocity, and temperature of runoff and by decreasing its infiltration capacity. Reducing infiltration can lower ground water levels and affect drinking water supplies. In addition, as stormwater runoff moves across surfaces, it picks up trash, debris, and pollutants such as sediment, oil and grease, pesticides and other toxics. The City was required to obtain a Utah Pollutant Discharge Elimination System (UPDES) Permit since our municipal was classified as having facilities, namely the fire station and City shop area that produces, disposes of, or otherwise discharges wastewater. The Permit requires the implementation of best management (BMPs) practices to comply with state water quality standards and all known, available, and reasonable methods of prevention, control, and treatment (AKART) of stormwater pollutants and wastewater. When the construction of the road was going on, the stormwater site was disturbed. UDOT provide the City with some BMP’s (the yellow items that you see lying by the site) that need to be installed. The City’s Engineer is working on the structural and procedural measures that must be implemented to install the BMPs. We will start working on the site when the City Engineer has provided us with the information.